I don't especially like setting 'resolutions' at the start of the new year - most seem doomed to failure - but I do like having project goals. 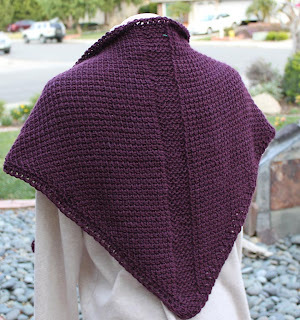 About a week ago, I spotted a Ravelry group that looks perfect for me - knit or crochet (or Tunisian) 10 shawls in 2010. I love both making and wearing shawls and I'm annoyed with myself for not having finished more of them this year, so I joined up. 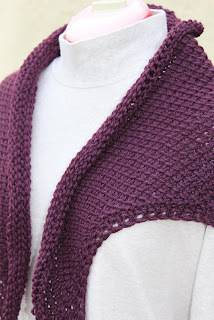 The first 'real' shawl is also my first 'frog' for the year. 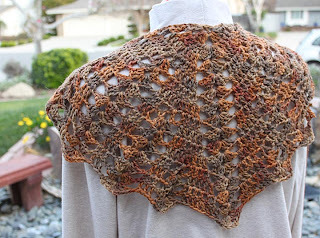 I started a Seraphina's Shawl with my handspun but didn't like the texture or the look, so I ripppppppppppped it. 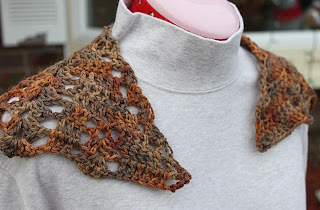 Started again with some in-stash Fearless Fibers Alpaca and Wool DK in 'Pumpkin Spice' and I like it much better. 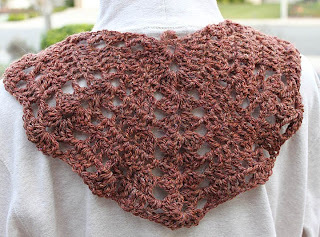 I want to have this done by Thursday night so I can wear it to the Ravelry party after my class at TNNA. Which means I need to get cracking on this.